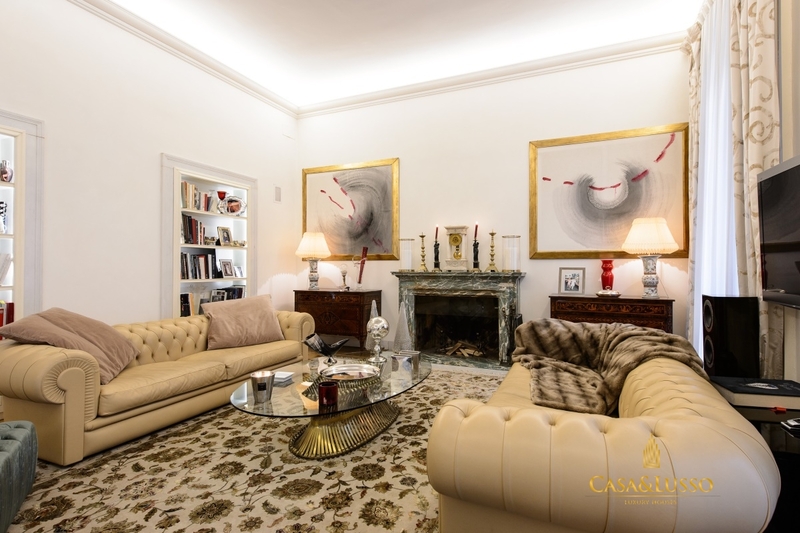 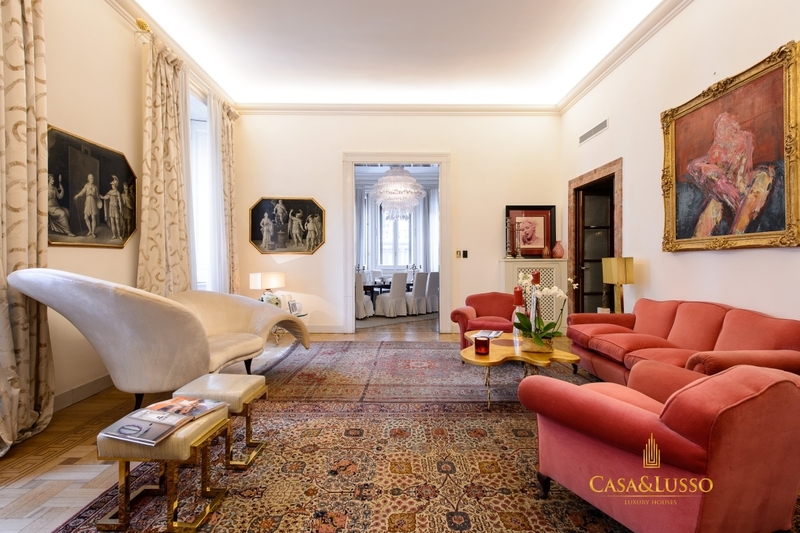 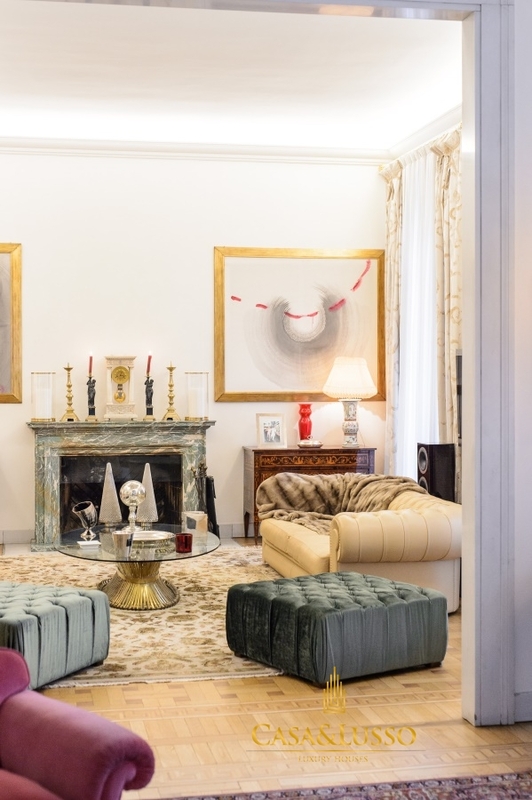 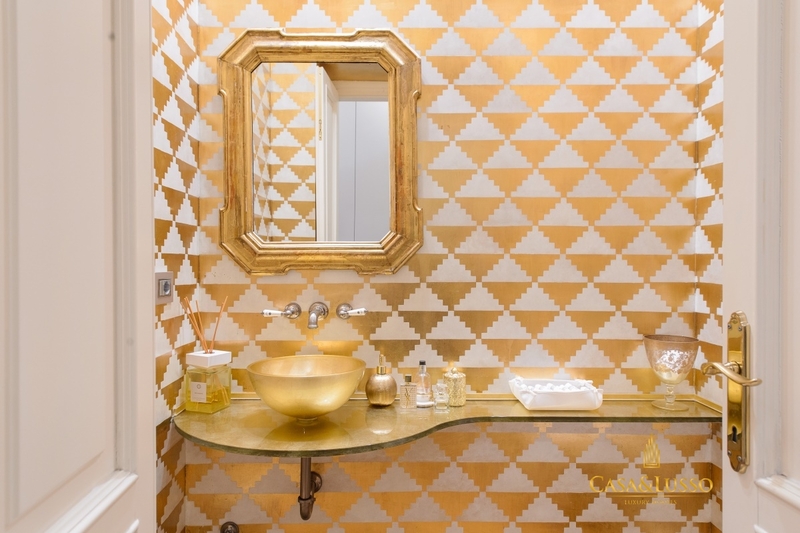 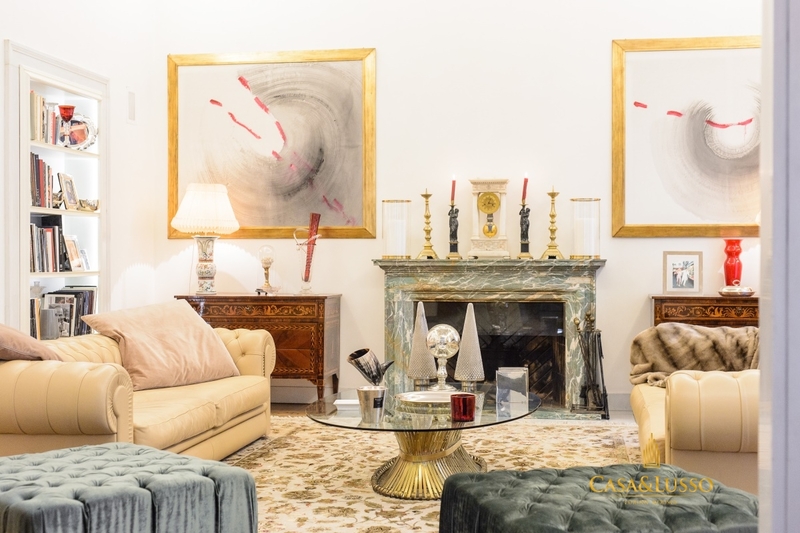 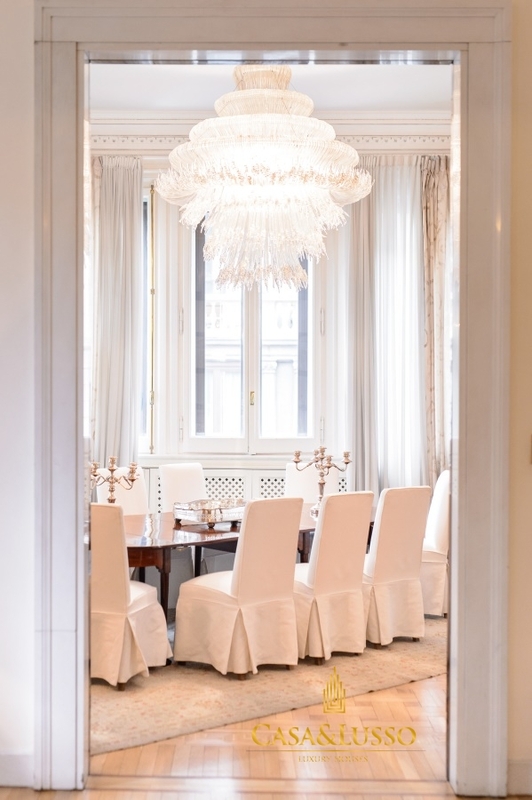 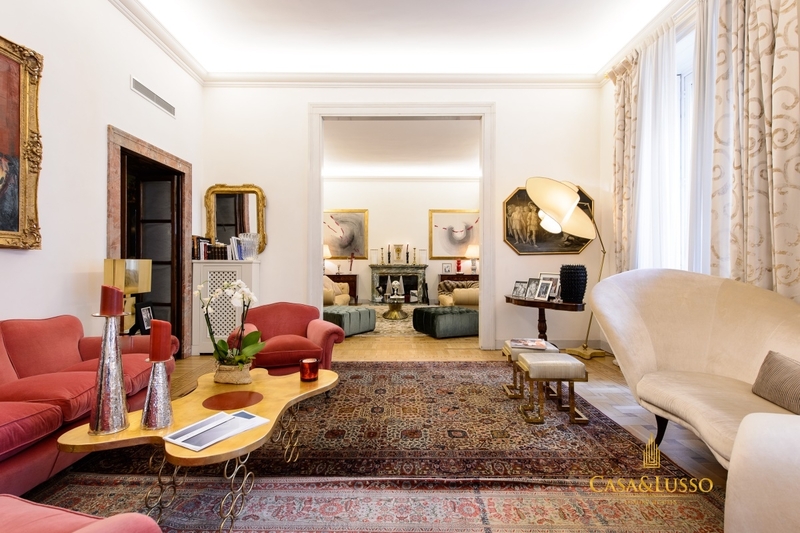 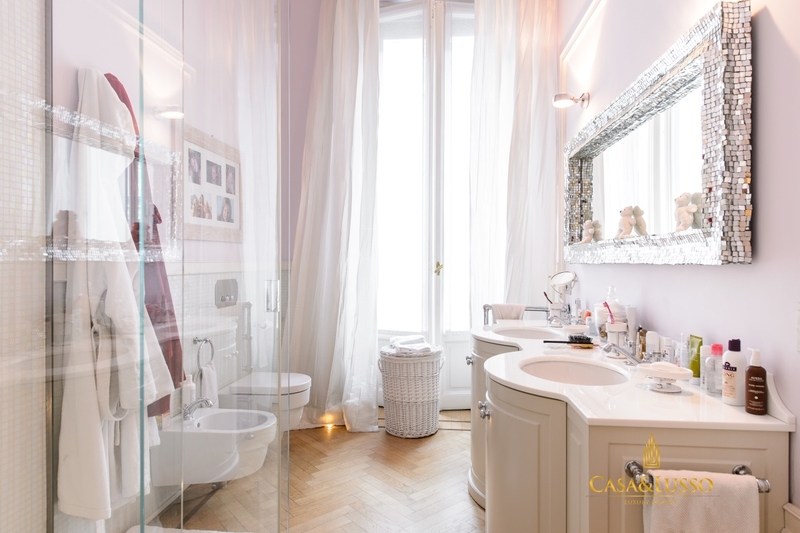 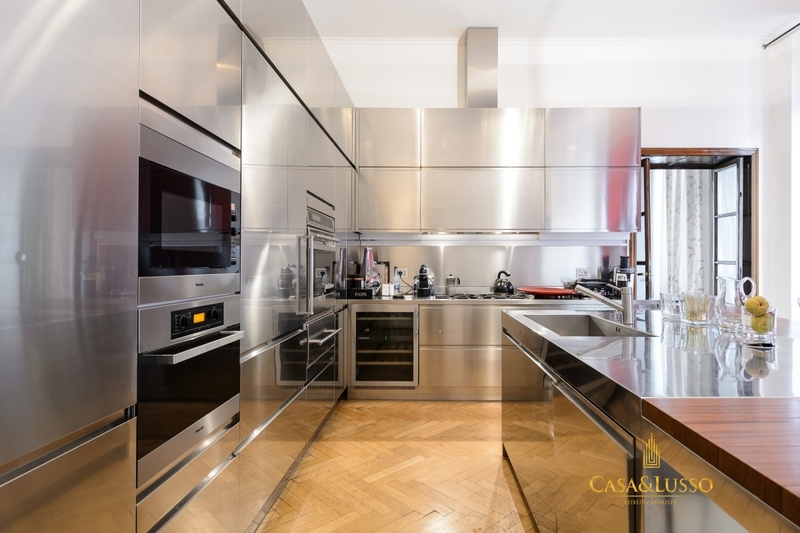 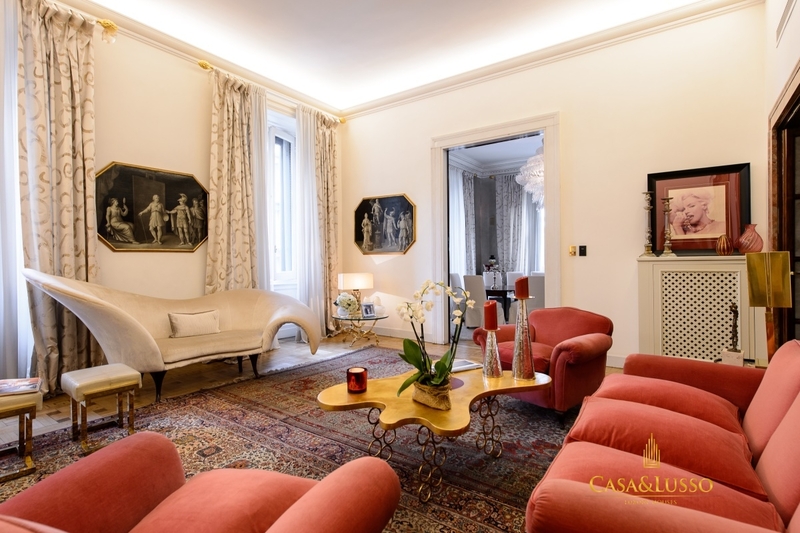 On the second floor of a prestigious 14th century palace in Milan, this majestic flat is located on the ground floor, completely redesigned into sophisticated structures embedded with refinement through the restoration of period finishes. 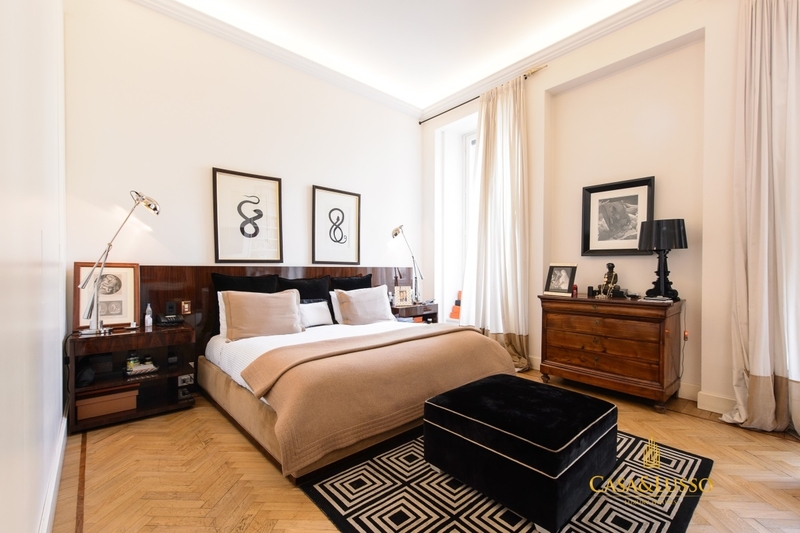 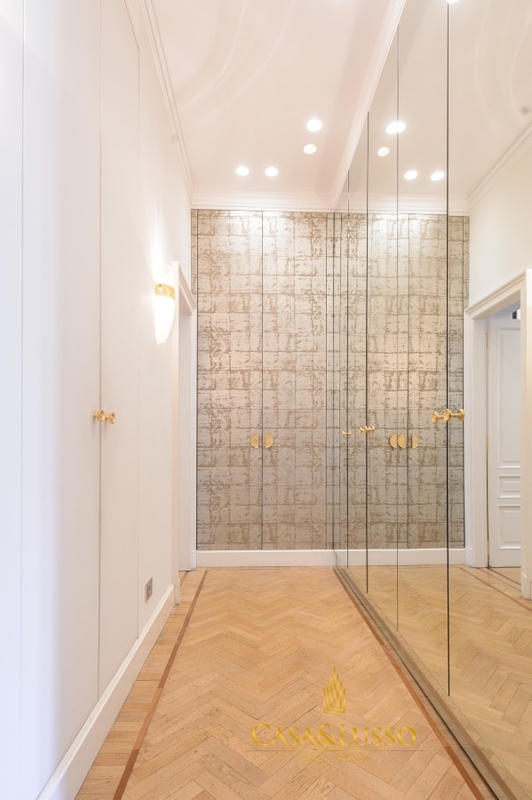 The apartment features charming interiors featuring inlaid wood floors and original doors that the designer has managed to restore with care. 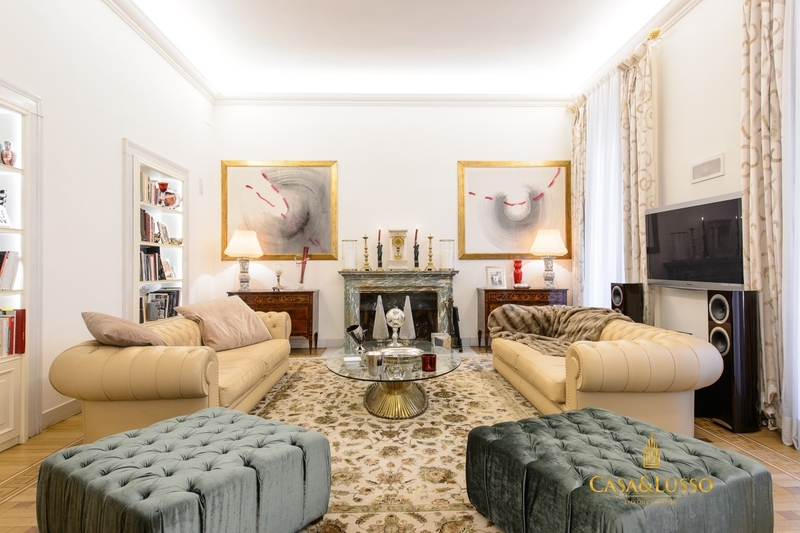 The intervention, far from invasive, was conducted without volumetrically altering the available space; the large rooms with six meters high ceilings were the invariant element of the structural composition of the accommodation. 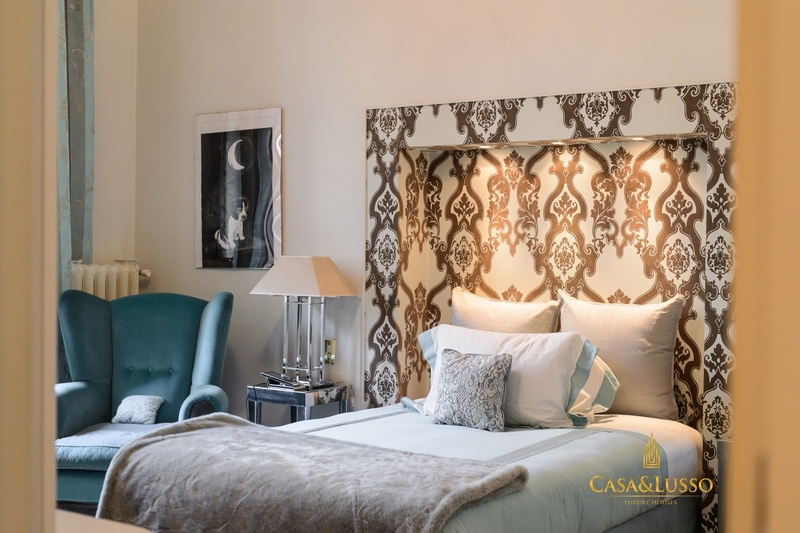 The wall structure does not undergo significant changes; The space is characterized by the presence of design furnishings. 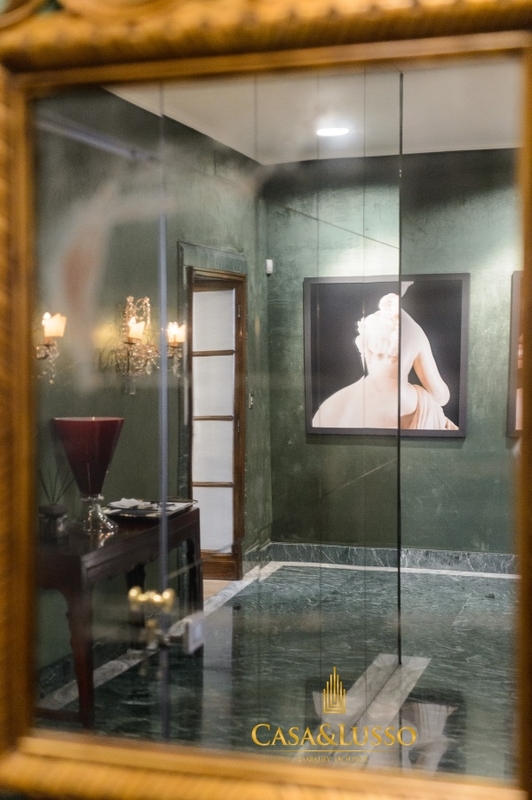 The property, renovated in 2009, consists of the following: the main entrance leads into a large hallway with marble floors and green velvet walls, hence two wooden doors with marble frames leading to the divided living area in three environments: relax area with marble fireplace, conversation / reading area and dining area, surrounded by large balconies. 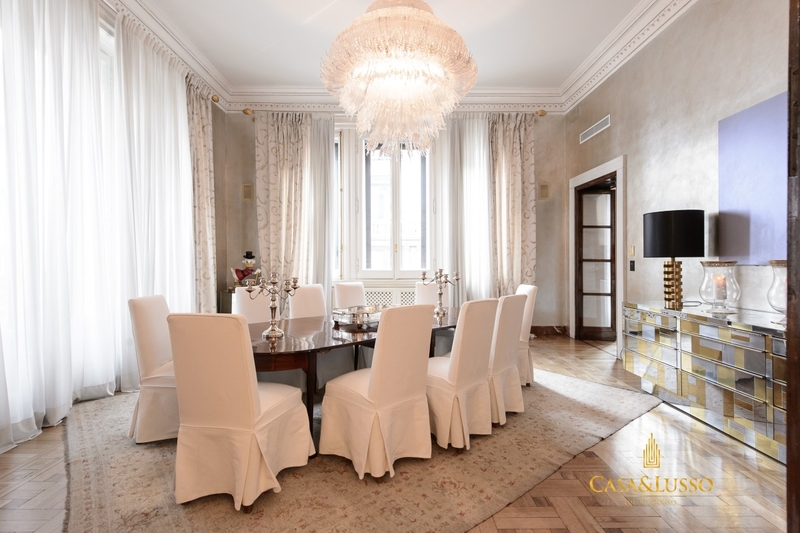 The amplitude and grandeur of these environments allows you to enjoy the conviviality, recreating a typical palazzo 's court setting. 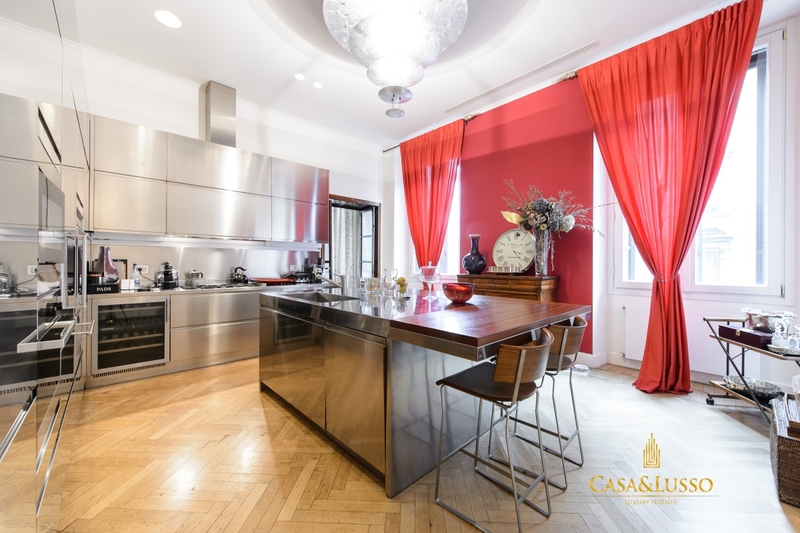 From the dining room you access to the large living kitchen which is left complete with ArcLinea furniture and Miele appliances. 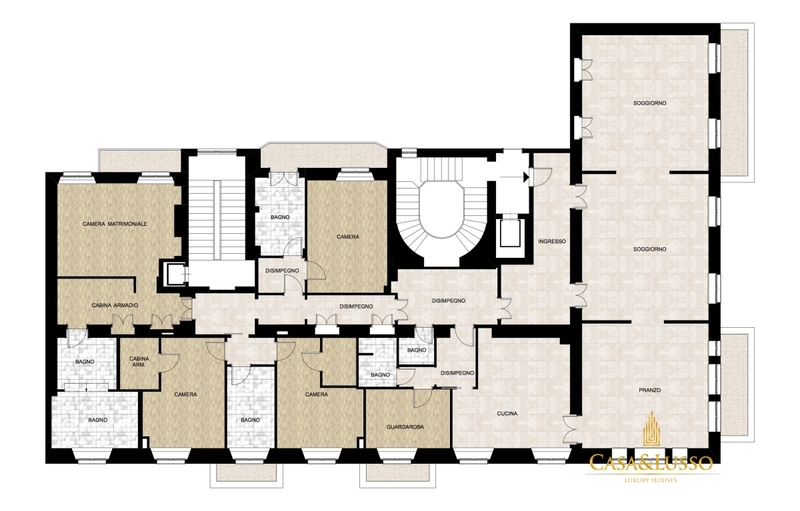 Adjacent to the kitchen is the service area, large, consisting of bedroom and bathroom, plus a balcony. 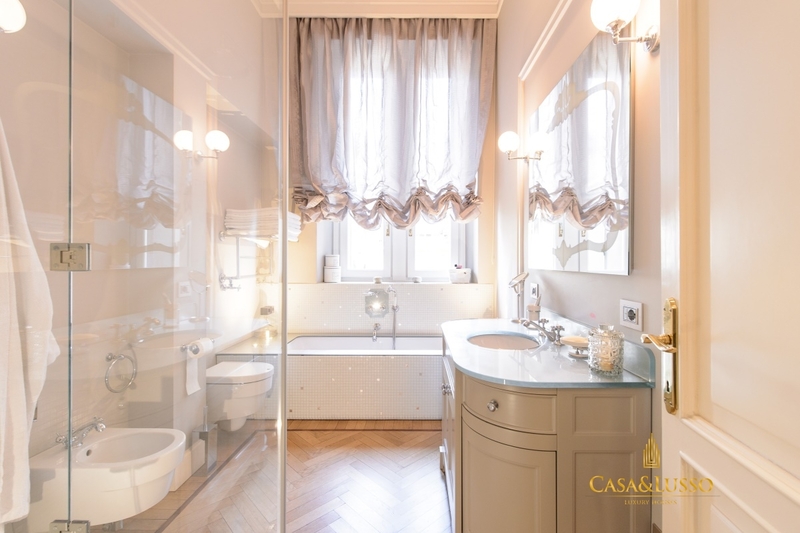 From here opens the promise that leads to the master bedroom area, adorned with fully fitted custom cabinets and doors in wood and glass, a full bathroom completes this area of ​​the house. 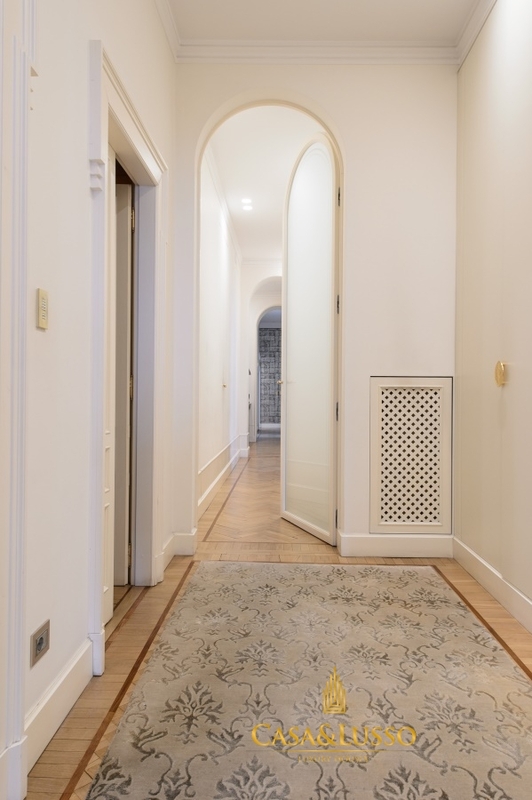 A large room with a bathroom and balcony opens on the right side of the corridor, overlooking the interior. 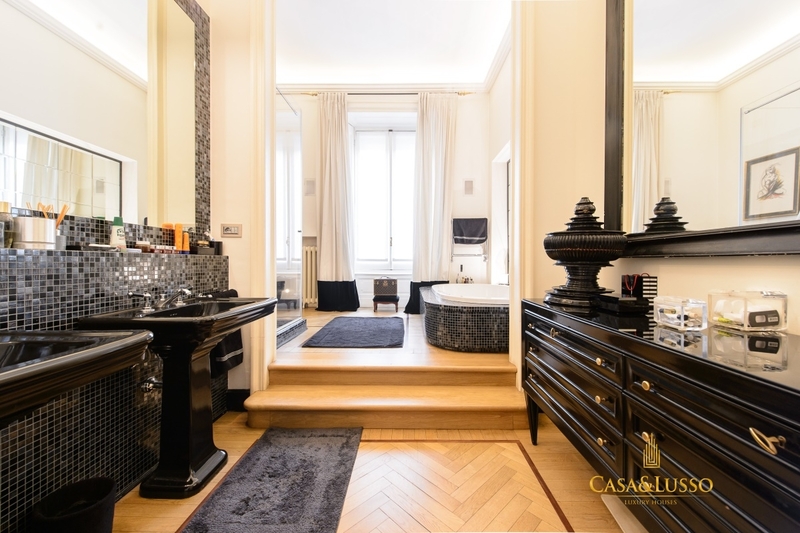 On the other side, divided by a large bathroom with balcony, we find two more double bedrooms with wardrobe and exposed on Via Mellerio. 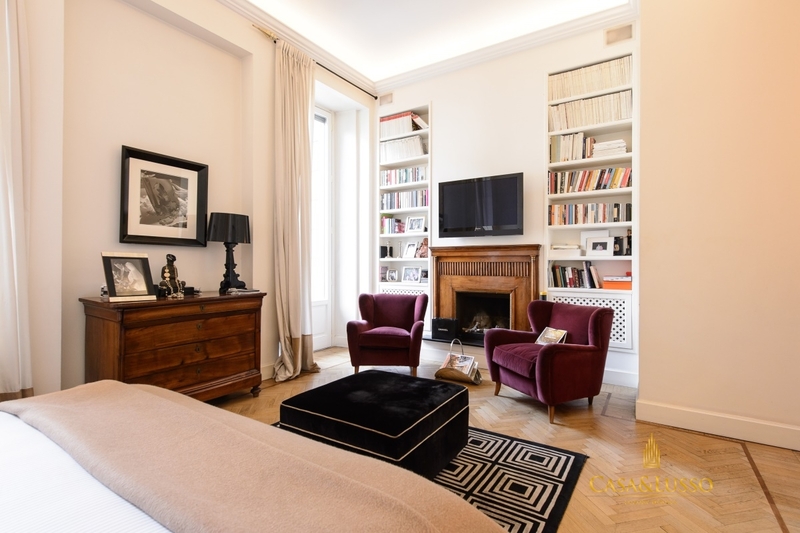 A further disengagement leads to the main room, large in size, with wooden fireplace and fitted wardrobes. 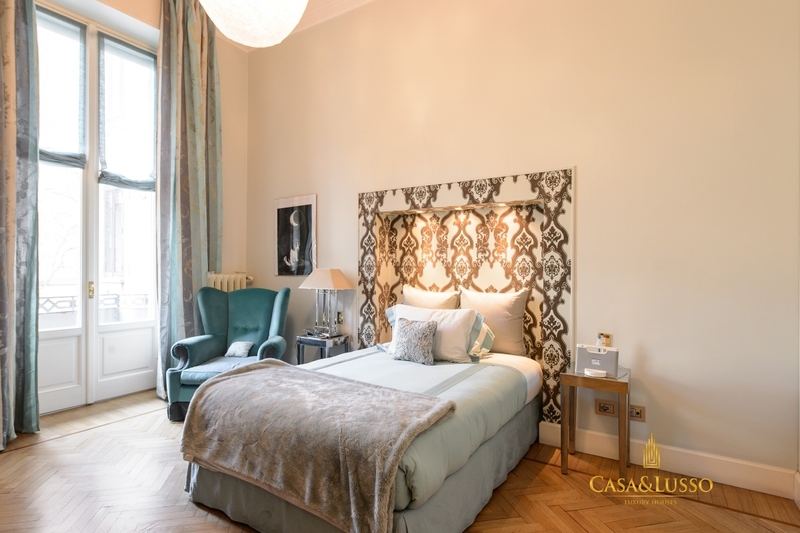 A balcony overlooking the interior completes the room. 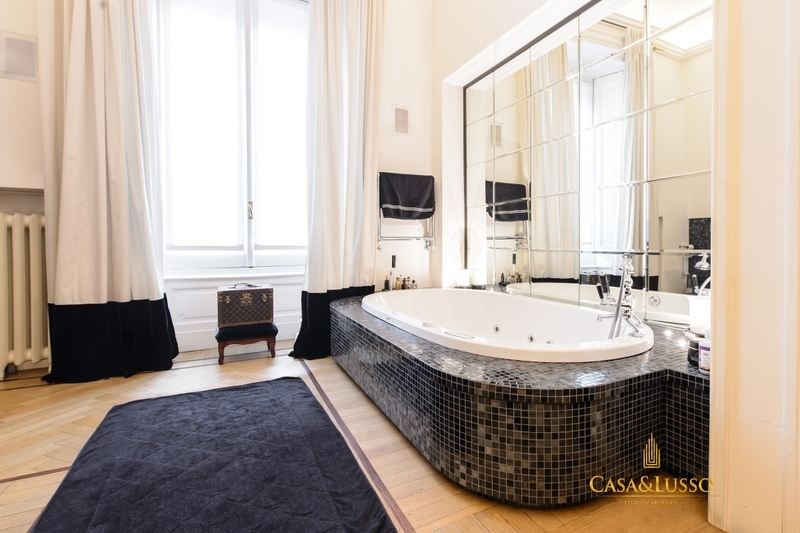 The private bathroom is an oasis of relaxation in view of the dimensions and the whirlpool bath in black mosaic that is paved with wire. 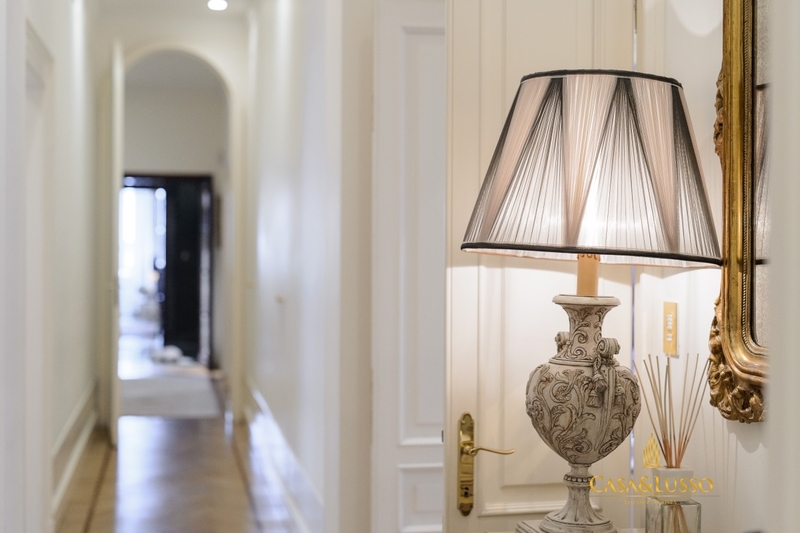 The unique property of its kind has a perfect combination of historic and modern, with home automation system, cooling system and audio streaming system. 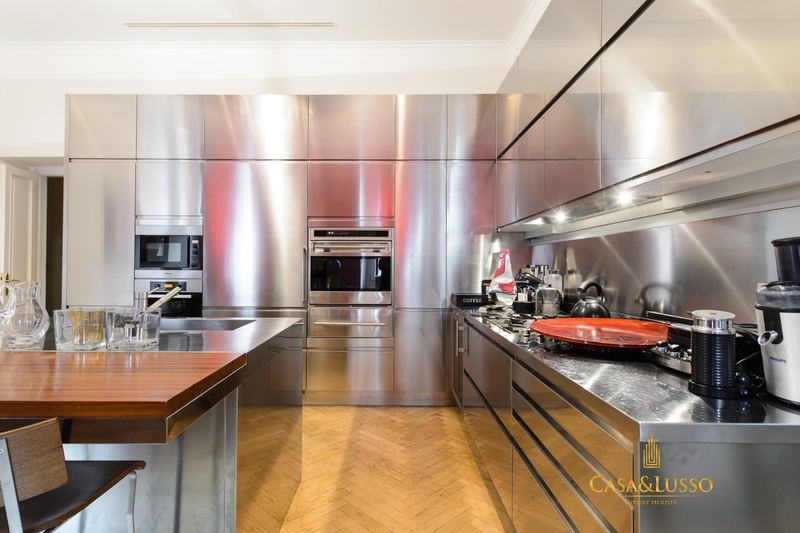 A large cellar and an indoor parking space complete this wonderful property.